Summary. Ukrainian oncology suffered a grievous loss. Professor Svitlana Pavlivna Sidorenko, a prominent scientist, head of the Department of Molecular and Cellular Pathobiology of the R.E. Kavetsky Institute of Experimental Pathology, Oncology and Radiobiology of the National Academy of Sciences of Ukraine, a Corresponding member of the National Academy of Sciences of Ukraine, after a long illness, died on August 26, 2018 at the age of 64. Svitlana Sidorenko was born on September 23, 1953 in the city of Kyiv in a family of the scientists. She successfully graduated from the Biological Faculty of Taras Shevchenko National University of Kyiv; after that she entered to the post-graduate program of the R.E. Kavetsky Institute of Experimental Pathology, Oncology and Radiobiology of the National Academy of Sciences of Ukraine, where she began the brilliant career as a young scientist. In 1980, she defended her Ph.D. thesis, in 1999 she received a doctorate in biological sciences on the specialty “Oncology”, and in 2013 she became a Professor. In 2015, she was elected a Corresponding member of the National Academy of Sciences of Ukraine. 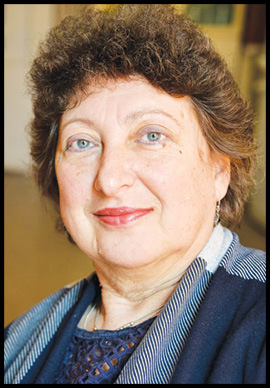 Professor Svitlana Sidorenko was a scientist with well-established international reputation in the field of oncology and immunology. Her priority was the discovery of the CD150 cellular receptor and the identification of the new ITSM signaling motif, the study of CD150-mediated signaling cascades, and the expression of this receptor in malignant neoplasms of different histogenesis. An important stage in her scientific research included the identification and characterization of new antigens for immunophenotyping of various subpopulations of human lymphocytes, analysis of their expression in human leukemia and lymphoma, as well as the possibilities of using these antigens for differential diagnosis of malignant tumors of lymphoid origin. These studies were related to the introduction of hybridoma technology for the production of monoclonal antibodies to surface antigens of human cells. Beginning from 1982, the scientists from the R.E. Kavetsky Institute of Experimental Pathology, Oncology and Radiobio­logy of the National Academy of Sciences of Ukraine under the supervision of S.P. Sidorenko conducted the production of monoclonal antibodies to human cell antigens. A panel of monoclonal antibodies was created, which, after completion of technical, pre-clinical and clinical trials, was introduced into the State Register of Medical Equipment and Medical Devices of Ukraine and were allowed for use in medical practice. A number of monoclonal antibodies were protected by copyright certificates for the invention and were recognized as reference antibodies for antigens of differentiation clusters at the 5th, 6th, 7th and 9th International Workshops on the Study of Antigenic Differentiation of Leukocytes. Monoclonal antibodies of IPO series have been tested in research and diagnostic laboratories in Ukraine and in many countries of the world. Svitlana Pavlivna was awarded with the State Prize of Ukraine in the field of science and technology for a significant contribution to the development of Ukrainian science. In 1991, she wrote the letter to Professor Edward Clark, who was a head of Immunology Department the University of Washington, Seattle, about her researches, after that he invited her as postdoctoral researcher. This was the beginning of many years of productive cooperation. In 1995 she received the grant of Howard Hughes Medical Institute and continued to work in Seattle. The result of this scientific cooperation was a significant contribution to the study of signaling cascades, initiated through surface receptors in normal and malignantly transformed cells, and mechanisms for their regulation through co-­receptor and associated molecules. S.P. Sidorenko was the first who cloned cDNA for human tyrosine protein kinase Syk, a promising target for directed therapy of leukemias and lymphomas, as well as a number of solid tumors of epithelial origin. S.P. Sidorenko in the tandem with Professor Edward Clark published a lot of articles in world journals. He wrote very warm condolence, also he told that it was easy to supervise her work. For many years S.P. Sidorenko was the head of the Laboratory of Signaling Cascades of Cells (now the Department of Molecular and Cellular Pathobio­logy). She was the author of more than three hundred publications, including 11 author’s certificates for invention, 2 monographs and sections in 8 collective monographs. She has publications in such prestigious journals as “Nature Immunology”, “Immunity”, “The Journal of Biological Chemistry”, “Proceedings of the National Academy of Sciences”, “The Journal of Experimental Medicine”, “The Journal of Immunology, Molecular and Cellular Biology”, “Cancer Research”, “Blood”, “Immunology Today”, “Immunological Reviews”, the materials of the International Workshops on the Study of Leukocyte Differentiation Antigens and on the International Internet Sites: NIH (Protein Reviews On The Web) and Nature (The Signaling Gateway Molecule Pages). S.P. Sidorenko was one of the 100 most cited Scopus scholars in Ukraine. S.P. Sidorenko actively worked on the training of scientific staff, was a member of the specialized academic councils for the defence of dissertations at the R.E. Kavetsky Institute of Experimental Pathology, Oncology and Radiobiology and at the Institute of Hematology and Transfusiology of the Academy of Medical Sciences of Ukraine. She also lectured at many universities and research centers around the world, in addition to her native walls. She always generously shared knowledge by conducting metho­dological seminars for students, postgraduates, doctors and instructors on biotechnology, hybridoma technology for the production of monoclonal antibo­dies and their use in biomedical research, in particular lectures and practical exercises conducted by the European Molecular Biology Laboratory and the Fede­ration of European Biochemical Societies. S.P. Sidorenko was a member of the Editorial Boards of “Experimental Oncology”, “Oncology”, “Cytology and Genetics” and “Ukrainian Biochemical Journal”, a member of the Ukrainian Biochemical Society, the Ukrainian Society of Oncologists and the Ukrainian Society of Cell Biology. Ukrainian oncology has lost a person with special talents of a scientist, of exceptional spiritual qualities, who was always ready to help in a timely manner. All the life of Svitlana Pavlivna was devoted to selfless service to science, a constant search for solving complex oncology problems. Warm memories of Svitlana Pavlivna, a prominent scientist, wise leader and teacher, a friendly colleague, a sensible friend, mother and grandmother, will always be in hearts of all who had the opportunity to work and communicate with her.